This year's best phones list includes terrific handsets ranging from $180 to more than (gulp) $1,000. NEW YORK ( TheStreet) -- For this year's back-to-school season, we have included some amazing choices - from Apple's (AAPL - Get Report) iPhone 6 and 6 Plus to models from Samsung (SSNLF and Lenovo's (LNVGY Motorola division's third-generation G and X and more. In mid-2015, touchscreen displays are a little bigger, cameras and videos produce better images and processors are a little faster, while manufacturers do what they can to keep prices in check. Overall, smartphones have become essential tools for students, teachers and parents. Here are the 10 best smartphones for the back-to-school season. Even though we're approaching the time of year when Apple usually announces a new iPhone, there aren't many people who would turn down a new iPhone 6 right now - except maybe when offered a new iPhone 6 Plus instead. The 6 boasts a 4.7-inch (1334 by 750 pixels) Retina multi-touch display, incredible iSight cameras front and back and a fingerprint sensor, all wrapped into a package less than 7 mm thick. And that's just the hardware. The iPhone 6 runs on the latest iOS 8 to offer exclusive features, such as Apple Pay, TouchID and more. Apple's iOS 9 is slated to come later in the fall. Pricing for the iPhone 6 starts at $199 for the 16GB model with a carrier contract and rises to $299 for a 64GB model and up to $399 for a 128GB handset. Prices without a carrier contract begin at $649. 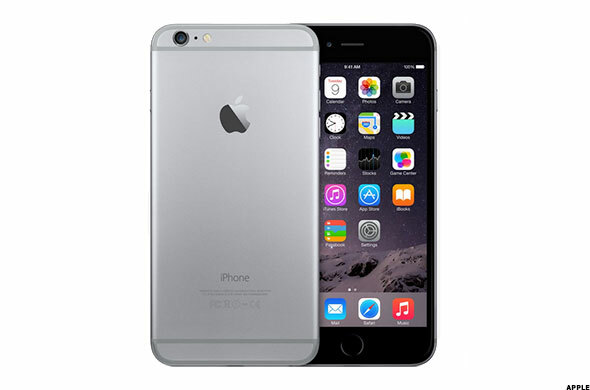 Apple's first phablet, the iPhone 6 Plus, has been a great success for good reason - it's a great smartphone. Take an iPhone 6, stretch the screen to 5.5-inches for a full 1920 x 1080 pixels HD resolution, add some optical image stabilization for the rear camera, along with all the goodies from its smaller brother, then stuff all that into a beautifully finished case weighing just 6 ounces and you quickly realize why Apple's larger model is a big winner. 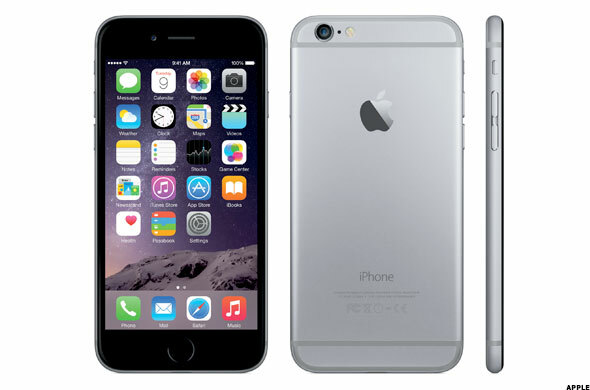 Prices run $100 more than a comparable iPhone 6 for Apple's larger model. Carrier contract prices range from $299 for a 16GB to $399 for a 64GB and up to $599 for 128GB of storage. Without a carrier contract, prices begin at $749. 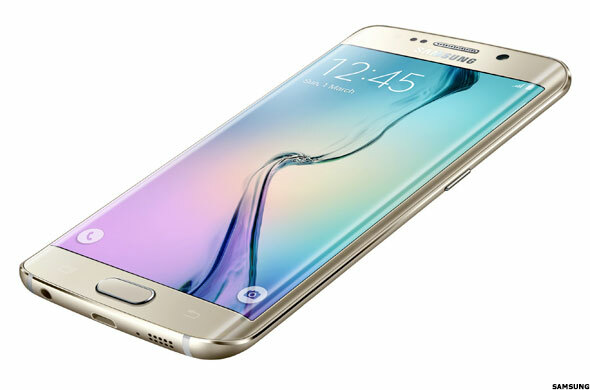 Samsung's Galaxy S6 is a big departure from all the previous Galaxy S models and is also a big improvement. First and foremost, the plastic shell has given way to an all-metal body. There's a new 5.1-inch Super AMOLED touch display, 3GB of RAM, a 16-megapixel camera on the back and 5-megapixel up front in a package weighing only 4.87 ounces. The S6 is the first in the series to run on Samsung's home-grown, octa-core, Exynos processor. 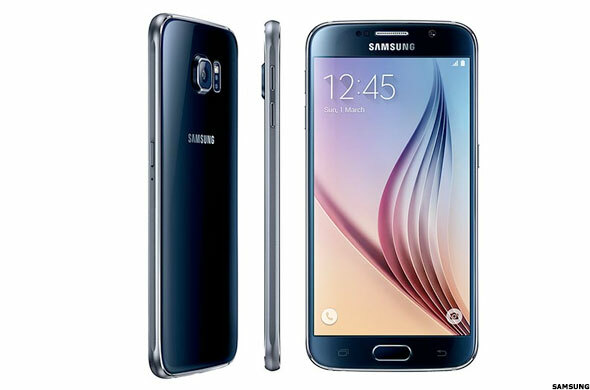 The S6 is available at all four major cellular carriers, a long list of big box retailers and online from Amazon.com. (AMZN - Get Report). Carrier contract pricing begins at $199 for the 32GB model. Prices without a carrier contract range from $685 for a 32GB model to $785 for a 64GB to $885 for an eye-watering 128GB model. Samsung's Galaxy S6 edge is unique in that its display curves around both edges of the phone, instead of the other way around. That extra screen area on the sides allows the S6 edge to offer optional messaging, notices and other niceties to be discretely displayed without interfering with other apps. The phone's other specifications are exactly the same as the regular S6 model, except for the exceptional screen. Surprisingly, the "edge" actually weighs slightly less at 4.66 ounces than its straight-edged twin. During our tests, we were struck by a nearly 3D quality created by the S6 edge's display. It's quite something to see. The Galaxy S6 edge is available from AT&T (T - Get Report), Sprint (S - Get Report), T-Mobile (TMUS - Get Report), U.S. Cellular (USM - Get Report), Verizon (VZ - Get Report) and retailers, including Best Buy (BBY, Target (TGT and WalMart (WMT. Prices without a carrier contract begin at $815 for a 32GB handset, $915 for a 64GB and up to a scary $1,015 for a 128GB model. 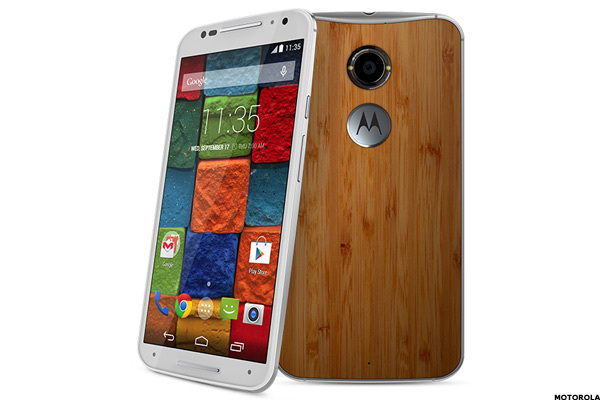 In the United States, the brand new third-generation Moto X flagship phone is called the Pure Edition. Motorola's flagship sports a 5.7-inch touchscreen display featuring 520 pixels per inch, an octa-core Qualcomm (QCOM - Get Report) 808 processor mated to what Motorola calls its Natural Language and Contextual Computing processors, 3GB of RAM, Android 5.1.1, your choice of 16GB, 32GB, or 64GB of storage, plus a microSD card slot, along with 21- and 5-megapixel cameras back and front. One of the phone's best features is Moto Maker, which allows you to customize your phone's colors and features when you order it. Motorola produces only one version of this phone for all carriers. Prices start at $399. The new, mid-priced, third-generation Moto G is a lot of phone for the money. It starts at only $180, making it the most affordable option on this year's list. It comes with a sharp, 5-inch HD touch display, Qualcomm 410 processor, 1GB of RAM with 8GB of storage or 2GB of RAM and 32GB of storage, plus a microSD expansion card slot, Android 5.1.1 and 13- and 5-megapixel cameras in a package that weighs less than 5.5 ounces. 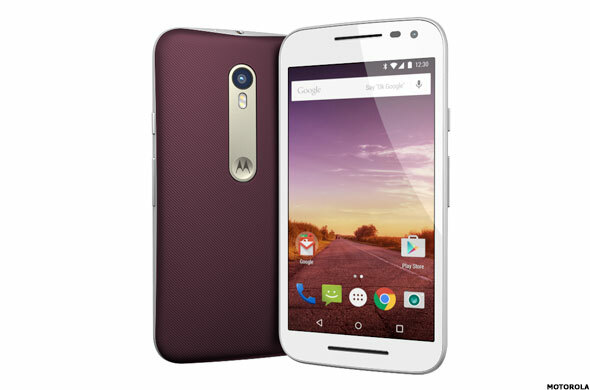 The Moto G is available only on the Moto Maker Website and it comes with free shipping. 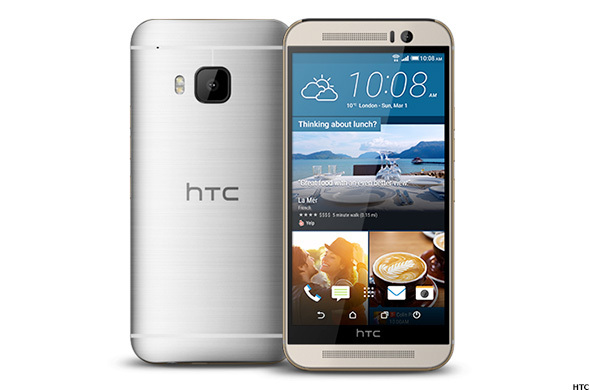 When we reviewed the HTC One M9, we said that despite the boring name (from One M8 to One M9) HTC had actually made a lot of improvements under the hood. While it looks similar to previous designs, the improvements include a new 5-inch touchscreen display, Qualcomm Snapdragon 810 processor, 3GB of Ram, 32GB of storage and microSD slot, a 20-megapixel camera on the back, handling of high-resolution music files and lots more. The M9 also now comes with what HTC calls "Uh Oh" protection -- free phone replacement in cases of broken screens or water damage. Carrier contract prices start at $199.99 and for phones without a contract $649. The G4 is LG's current flagship model. It sports a large, 5.5-inch, HD IPS display, Qualcomm Snapdragon 808 processor, 3GB of RAM, 32GB of storage (plus microSD card slot), 16- and 8-megapixel cameras and a big rechargeable battery. 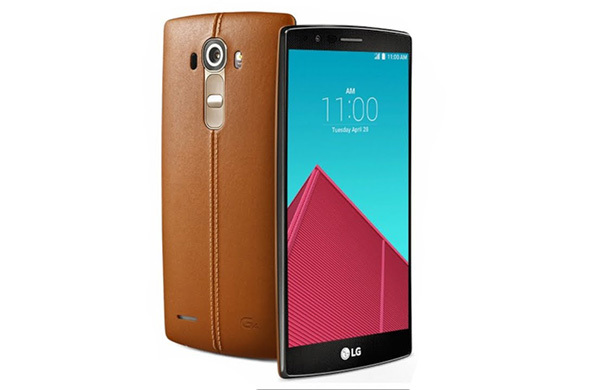 We liked the limited time we spent with the G4 and loved the optional leather rear cover. Prices for a carrier contract G4 begin at $199.99 - with additional extras and deals currently being offered. Published prices for models without a contract start at $499. 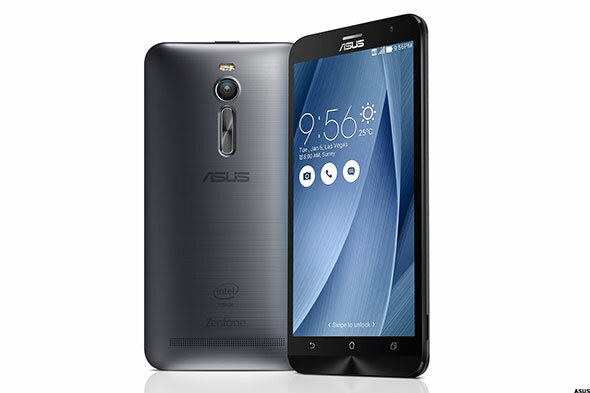 The Asus ZenFone 2 is really a powerhouse design housed in sheep's clothing. It looks like other high-end smartphones but it's a super-powerful performer selling at a bargain price. In our review, we found that the combination of an Intel (INTC - Get Report) Atom processor with the inclusion of either a 2GB or 4GB of RAM mated to the 5.5 -inch touch display, 2 SIM card slots and a big, rapid charging battery make for a great smartphone. The 13-megapixel camera on the back, which initially was the device's low point, has steadily improved with the downloaded updates since our review. As for the price, the 1.8 GHz processor model with 16GB of storage retails for $229, while the 4GB RAM and 64GB of storage version (recommended) sells for an amazing $299. Both are available from the company's online store. 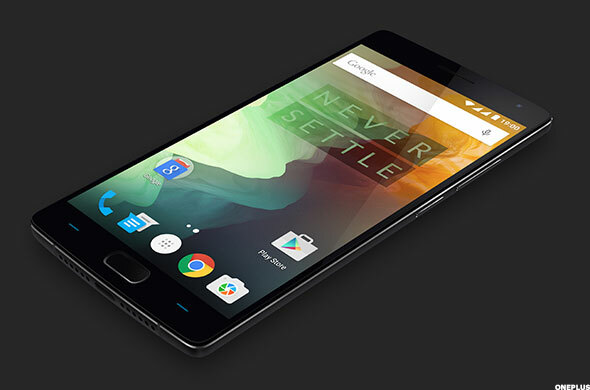 The OnePlus One smartphone was the surprise hit of 2014. Slim, sleek, super-powerful and bargain priced, the OnePlus One was the first and only product from a new company started by a former executive from China's Oppo. The OnePlus Two is the 2015 update. The new phone continues the practice of offering top-of-the-line components that includes a 5.5-inch IPS display, Qualcomm 810 processor, 3GB or 4GB of RAM, 16GB or 64GB of storage, dual SIMs, USB Type-C connectivity, improved cameras, while keeping the un-subsidized carrier retail price low. Prices now start at $329 for the 3GB/16GB model and $389 for the 4 GB/64 GB unit. You can get in line to buy yours by nabbing an invitation on their Website.